What Can Parents Do When Children Whine? My 3 and 4-year-old girls whine all the time. My husband and I are at wits’ end. They also have a problem with doing what they are told, and they always talk back. What can we do when the children whine? 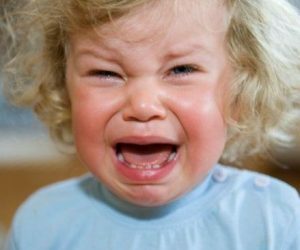 The management of whining in 3- and 4-year-olds is similar to the management of temper tantrums in 2-year-olds: zero tolerance. By that, I do not mean becoming angry or punitive, but rather making it clear that whining is not a way to get what you want. Don’t allow your daughters to get things by whining. When you encounter a whiny request for something, calmly tell your daughter that you can’t hear what she says when she says it that way, and could she please ask again without whining. Praise her when she doesn’t whine, so she knows the behavior that you are looking for (“I like the way you asked for another glass of water!”). Kids don’t believe you when you make outlandish threats, and thus don’t take you seriously either. Above all, keep your cool! If they know that refusing to listen or talking back gets your attention, they will continue to do so. Remember to praise them when they listen and when they don’t talk back.